Discuss the increasing roles women began to play in Protestant Churches during the 18th and 19th centuries with prophetesses like Joanna Southcott and the Campbell Sisters. Discuss why some denominations allowed women to become ministers and other higher positions in church during this era of ‘first-wave feminism‘. How did the belief in post-millenialism play a part in this movement? Correlating with the increase of women’s influence in the Catholic world with the increase in the emergence of Mary, women’s influence in the Protestant world also began to rise. An example is the reinstatement of nunneries in the Anglican world. 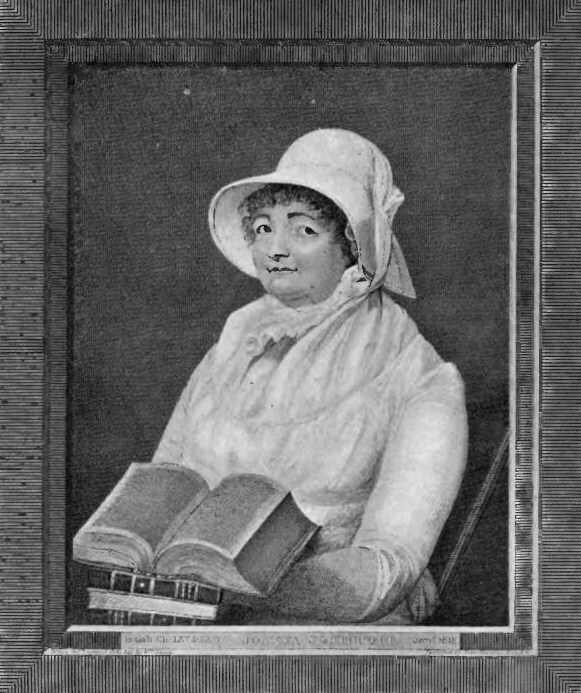 Joanna Southcott (or Southcote) (April 1750 – 27 December 1814), was a self-described religious prophetess. Lacking the prominence of Catholic Mary, influential women took after Old Testament prophetesses. Joanna Southcott had influential apocalyptic prophesies, the Campbell Sisters with speaking in foreign tongues and miraculous faith healing strongly influenced Edward Irving and what would be the Pentecostal movement. Denominations differed in how much influence women would have. It was more likely in churches without established existing statuses and those with a tradition of strong congregations that made the actual decisions. Post-millennialism social activism helped women play more influential roles such as with slavery. Women were essential for missionary work in cultures where it would be inappropriate for men to speak to women. Also, certain important for causes that was also inappropriate for men to show too much interest such as the abuses of prostitution. Women have proven essential for the advancement of the Church. Discuss the establishment and rise of the Second Empire (Reich) by Hohenzollern Prussia in 1871. Discuss how triumphalist Protestant theology shaped the policies of the Imperial Chancellor Otto von Bismarck in his desire to eliminate Catholicism as a significant political force in northern Europe. Why did his plans fail? How did all this relate with the overall move away from Christianity and religion by the general populace in Prussia? What was taking the place of Christianity for the people during this time? By the 1860’s, the Catholic Church comprised 36.5% of the population of the German Empire, including millions of Poles, who were subject to official discrimination. Protestants and Catholics were generally segregated into their own worlds, living in rural districts or city neighborhoods that were overwhelmingly of the same religion, and sending their children to separate public schools where their religion was taught. There was little interaction or intermarriage. On the whole, the Protestants had a higher social status, and the Catholics were more likely to be peasant farmers or unskilled or semiskilled industrial workers. In 1870, the Catholics formed their own political party, the Centre Party, which generally supported unification and most of nation’s policies. However, the German Chancellor Otto von Bismarck, a devout pietistic Protestant, distrusted parliamentary democracy in general and opposition parties in particular, especially when the Centre Party showed signs of gaining support among dissident elements such as the Polish Catholics in Silesia. A powerful intellectual force of the time was anti-Catholicism, led by the liberal intellectuals who formed a vital part of Bismarck’s coalition. They saw the Catholic Church as a powerful force of reaction and anti-modernity, especially after the proclamation of papal infallibility in 1870, and the tightening control of the Vatican over the local bishops. Jesuit and other Catholic missionaries had restored the vitality of Catholicism in Germany, and, although they were not intended to convert non-Catholics, the missions attracted Protestants in large numbers—even the heir to the Prussian throne, who attended sessions with the king’s approval. The response to the Catholic revival, and, importantly, the draw on Protestant congregants, was a wave of anti-Catholic, anticlerical and antimonastic pamphleteering and preaching. In this newly founded Empire, Bismarck sought to appeal to liberals and Protestants (62% of the population) by reducing the political and social influence of the Catholic Church and attempting to eradicate the Polish nationality. In 1871, Bismarck initiated the anti-Catholic laws following the formation of the German state that included disparate Prussian municipalities. This was partly motivated by Bismarck’s fear that Pius IX and his successors would use papal infallibility to achieve the “papal desire for international political hegemony.” Bismarck’s attention was also riveted by fear of what he believed to be the desire of the international Catholic Church to control national Germany by again means of the papal claim of infallibility. If, as has been argued, there was no papal desire for international political hegemony and Bismarck’s resistance to it may be described as shadowboxing, many statesmen of the time were of the chancellor’s persuasion. The result was the Kulturkampf (“culture struggle”) which, with its largely Prussian measures, complemented by similar actions in several other German states, sought to curb the clerical danger by legislation restricting the Catholic Church’s political power. Bismarck accelerated the Kulturkampf, which did not extend to the other German states such as Bavaria. As one scholar put it, “the attack on the church included a series of Prussian, discriminatory laws that made Catholics feel understandably persecuted within a predominantly Protestant nation.” Jesuits, Franciscans, Dominicans and other orders were expelled in the culmination of twenty years of anti-Jesuit and antimonastic hysteria. Among the measures aimed at the Catholic Church was the addition in 1871 of § 130a to the German Criminal Code (Strafgesetzbuch), infringed on clerical freedom of speech, threatening clergy who discussed politics from the pulpit with two years of prison; this article was dubbed the Kanzelparagraph (from the German Kanzel ‘pulpit’). In March 1872 religious schools were forced to undergo official government inspection, and in June religious teachers were banned from government schools. In 1872, the Jesuits were banned (and remained banned in Germany until 1917) and in December the German government broke off diplomatic relations with the Vatican. In addition, under the May Laws of 1873 administered by Adalbert Falk, the state began to supervise the education of clergy closely, created a secular court for cases involving the clergy, and required notification of all clergy employment. The Papal encyclical Etsi multa of Pope Pius IX in 1873 claimed that Freemasonry was the motivating force behind the Kulturkampf. Nearly all German bishops, clergy, and laymen rejected the legality of the new laws, and were defiant facing the increasingly heavy penalties and imprisonments imposed by Bismarck’s government. By 1876, all the Prussian bishops were imprisoned or in exile, and a third of the Catholic parishes were without a priest. In the face of systematic defiance, the Bismarck government increased the penalties and its attacks, and were challenged in 1875 when a papal encyclical declared the whole ecclesiastical legislation of Prussia was invalid, and threatened to excommunicate any Catholic who obeyed. There was no violence, but the Catholics mobilized their support, set up numerous civic organizations, raised money to pay fines, and rallied behind their church and the Center Party. The government set up a rival Old Catholic Church, but it attracted only a few thousand members. Bismarck realized his Kulturkampf was a failure when secular and socialist elements began using the opportunity to attack all religion. In the long run, the most significant result was the mobilization of the Catholic voters, and their insistence on protecting their church. In the elections of 1874, the Center party doubled its popular vote, became the second-largest party in the national parliament, and remained a powerful force for the next 60 years. It became difficult for Bismarck to form a government without their support. In summary, Bismarck’s program backfired, as it energized the Catholics to become a political force in the Centre party and revitalized Polish resistance. Likewise, the culture war gave secularists and socialists an opportunity to attack all religions, an outcome that distressed the Protestant leaders and especially Bismarck himself, who was a devout pietistic Protestant. The Kulturkampf ended about 1880 with a new pope willing to negotiate with Bismarck, and with the departure of the anti-Catholic Liberals from his coalition. By retreating, Bismarck won over the Centre party support on most of his conservative policy positions, especially his attacks against Socialism. Bismarck’s actions against the Catholic Church in the German Empire illustrate how religious conflicts in Europe did not end with the beginning of the Enlightenment period, but continued on right into the 20th Century. In fact, the persecution against German Catholics under Bismarck would pale in comparison to the religious persecutions that would follow in the early half of the 20th Century, reaching its most lethal apotheosis in World War II under the Nazi regime. Discuss the growing emotional loyalty to the papacy and the Catholic Church and away from aristocratic leaders called “ultramontanism”. How did this impact the role and image of the pope going forward? How did this movement affect Catholicism throughout Europe? What were its ties with the Enlightenment? ULTRAMONTANIST was the name given (derogatorily by opponents) post French Revolution to those people who sought to align themselves directly with the Pope as their leading authority in spiritual and civil matters. It ultimately transcended any particular people, place or time to identify the ongoing movement seeking to increase Papal Authority in all aspects of peoples’, including the State’s, lives. Its spirit still continues and impacts our lives today. Originally the word, meaning ‘looking across the mountains’, started in Medieval times to refer to people who came to Rome from without Italy – i.e. across the Alps. (Particularly in reference to Pope Alexander I who was called ‘Papa Ultramontano’.) The term was revived by opponents to refer to the Catholic backlash against the State caused by the Revolution. In a modern real sense, it was a COUNTER-REVOLUTION by especially Catholic but even most common people to LIBERATE themselves from what they viewed as oppressive, intrusive and exploitive Authorities. It brought to the surface the longstanding tension between the Papacy and European Monarchs which had been simmering for years and the emotionally charged attachment the people had to the old Church, the Pope and the institutions and practices now eliminated by the State. Overtime, it allied with other like-minded groups, such as the Jesuits, to become more of a general movement like an opposition party to the State in whatever country it spread to. It reached its zenith with the passage of the Papal Infallibility Doctrine and then declined after the Franco-Prussian War. Paradoxically, although its great nemesis was the Enlightenment and liberalism, it was exactly those forces which lead to the separation of Church and State which allowed Catholics and their Church to worship freely, spread and control their own affairs bringing most of what Ultramontanism was seeking. Although it seems to have disappeared today, its spirit continues to shape the Catholic Church, the office of the Pope and hence our and the world’s lives today and probably for the future. My choice to discuss Ultramontanism actually transcends the topic. As we continue reading MacCulloch’s Christianity, it seems to me that the story remains the same. Do any of us think that the motives and forces of these events are purely spiritual concerns? Are we studying more the history of secular authorities – their quest for wealth, power and rule – than that of the Church? Discuss the importance and philosophy of Georg Wilhelm Friedrich Hegel. How did his philosophy differ from Kant’s? What was his overall philosophy of history? What was his philosophy of the Spirit? 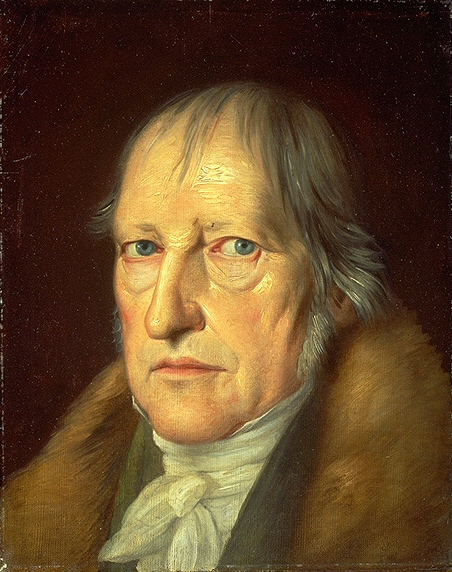 Georg Wilhelm Friedrich Hegel (1770 – 1831) was one of the most systematic and ambitious thinkers of all time. His work attempts to tackle some of the deepest philosophical problems of all – the ultimate nature of reality, the foundation of morality and the nature of reason. His philosophy would come to have a huge impact on European history, partly because his philosophy had very practical applications in concrete historical situations and covered areas like economics, society, politics, revolution, and war. In the longer term, its greatest impact was through its influence on Karl Marx. His thinking also significantly affected the development of German theological thinking and liberal theology as well. He was born in Stuttgart, Germany to a Lutheran family where he studied theology at Tubingen University where his instructors thought he was inept at philosophy and unsuitable for Christian ministry. Despite this, later on, he became a professor of philosophy in Berlin in 1818. His most important works are The Phenomenology of Spirit (1807), The Science of Logic (1812 – 16) and The Philosophy of Right (1821). In these works he laid out his philosophy of idealism. His thought contrasted with Immanuel Kant in significant ways: for instance, to Kant, our minds shape reality, and so, in effect, reality for us is mental. But he had conceded that reality in itself may well not be mental; the problem being that we can’t know anything about reality, so we can’t know whether it’s mental or not. Hegel dismissed this notion that we are unable to know a thing-in-itself. Instead, Hegel insisted that we do know things as they are and the reason we can know them is because everything is mind. We, the perceiving subjects, are minds. The objects of our perception, the things in the world around us are mental, not material. There is no underlying material substance behind them. Everything is mind. Accordingly, for him, all of reality – everything – is spiritual, and the word he used to express this thought was the word Geist which translates to “mind”, “spirit”, or sometimes “world-spirit”. People are perceiving spirits. All that we perceive is spiritual, and all that exists is spiritual. He saw everything that exists as one, encompassed by one ultimate or “Absolute Spirit”. This Absolute Spirit doesn’t create as in the Christian conception of God. Rather, the Absolute Spirit expresses itself as everything in the world. Everything is Mind thinking, the Absolute actualizing itself, or the rational expressing itself as the real. The more rational your thought, the more you participate in reality, or the more reality expresses itself on you. So in essence, Geist is both the force that operates through history, and something in which particular human minds participate and which constitutes the most fundamental reality. In terms of history, for Christianity there is the fundamental belief that all of history has a purpose and goal (teleology) that God has directed which people are moving toward. However, the Scientific Revolution and the Newtonian concept of a clock-work universe destroyed that notion. What happens, just happens with no reason whatsoever as it blindly and mechanically ticks forward. However, Hegel restored the concept of a process, but rather than rooting it in God in the way Christianity had done, he rooted it in the world as the expression of Mind/Spirit and in particular in the history of Western Europe. Hegel argued that human reason was essentially determined by the forces of history and that its development was guided by an aim or purpose. The aim towards which history is progressing is the self-realization of Geist through human minds. To Hegel, the universe is not a set of accidently related and separate elements; rather, it is an organic reality in which each part is related to the others in necessary ways. As MacCulloch puts it: “All things are in a state of progress, or becoming, within history: a process achieved by the dialectic principle. A thesis is followed or met by an antithesis, and the encounter in turn produces a synthesis which reaches a higher level than either.” (loc. 16136) (Thesis and Antithesis were concepts Hegel developed from Kant.) For example, consider two opposing statements about morality: “The good is simply what maximizes pleasure” (thesis) and “Morality must be based purely on reason alone” (antithesis). Here, one of the statements must be rejected as false if the other is true. In this conflict, one or the other has to. Hegel rejected this notion and said that instead of the conflict between thesis and antithesis leading to the rejection of one or the other, it leads to what he called “synthesis”. In this case, Hegel would synthesize these two viewpoints by placing morality in a fully communal, historically situated reality. This synthesis would in turn be viewed as a new thesis, to which, sooner or later, an antithesis would appear. And then out of this conflict will arise a new synthesis, and this process would repeat itself over and over again until we reach the ultimate reality that contains no conflicts, called the “Absolute”. This process was known as the “dialectic” (thesis and antithesis in “dialogue” with each other), and it is always upward and forward movement in history. The implications of his dialectical thought were radical, where it moved Western thought closer and closer to relativism. Now, truth was no longer fixed; moral principles develop and change over time. It established the belief that all that has gone before, whether in history or in the realm of ideas, is inferior to the here and now. This is a belief that has dominated Western thought for a long time and with detrimental consequences, particularly towards theology; in theology, it was to contradict the call of the Protestant Reformers to get back to the teachings of Jesus and the early Christian fathers, and encouraged theologians to claim that their new way of seeing things was at last the true one and claim that all that had gone before was primitive, superstitious, and unenlightened. In terms of theology, it is somewhat evident that his Lutheran upbringing affected his philosophy of Absolute Spirit. For Hegel, human beings, being finite, are not wholly distinct beings apart from God. They are parts of Absolute Spirit. In some sense, humans are divine, or at least parts of the divine, and not miserable sinners cut off forever from God. God may or may not choose to save them. People intrinsically have an individuality of their own and are free to choose their own destinies. Their actions and decisions may help or impede the self-realization of Spirit. In most circles of classical theism, God remains unchanged by the course of history where He remains the same whether or not the universe existed. However, in Hegel’s view, time and history change Spirit, and Spirit is affected by time and history. Also, in sharp contrast with most traditional religious and philosophical views which tended to see human history as a fall from grace from a perfect Edenic paradise, Hegel viewed history in terms of development, evolution and progress, where history marched forward with a greater understanding of the universe of its nature as Spirit, and therefore history looked forward to a more golden future. Many traditional theists see destruction and conflict as the opposite of creation, but Hegel viewed conflict and destruction as the only way new forms of creativity could arise. He saw the dialectical process even in Christianity, especially where Jesus says that “those who lose their life for my sake will find it” (Matt. 10:39)- it is through self-renunciation that we will find and fulfill our true selves. So all suffering, pain, and alienation we experience are parts of Spirit. Hegel incorporated the Lutheran ‘theology of the cross’ into his philosophy which stressed in a new way the suffering of God in and with the suffering of the world. Here, the divine nature of God was now seen as not being immune to suffering, and that God can and will change in response to it. This belief that everything is part of Absolute Spirit mirrors the Christian belief that believers are said to live ‘in Christ’ and that we are all ‘parts of the body of Christ’ or that everything lives and moves has its completion in and through Christ. Theologians such as Karl Barth were influenced by Hegel’s philosophy as Barth saw God as changing, temporal, and suffering. Teilhard de Chardin, also influenced heavily by Hegel, fashioned human history as moving toward an ‘Omega’ point of universal consciousness. The philosopher Alfred North Whitehead would develop his ‘process philosophy’ by repeating Hegel’s view of the universe as an organic unity involving a series of chains of events in constant continual flux. Whitehead’s process philosophy would be picked up by theologians to a branch of theology called ‘process theology’ which incorporates God operating in an open and indeterminate universe. Hegel’s aim in philosophy was ambitious and huge. He “sought instead to build a system of knowledge and of being which would dwarf the achievements of Aristotle and go beyond the skepticism of Kant.” (loc. 16131) In other words, it was nothing less than a rethinking of the whole of philosophy. Through Hegel’s influence, Protestant theology has changed its approach to depicting God as a static and impassible being where it has become commonplace to speak of God suffering with the world, and changing in responsive relationship to human actions. God is more persuasive in his actions with the world instead of everything being predetermined; God acts within the processes of history rather than interfering with such processes. With this view, biological evolution is compatible with theism in seeing life as a process of gradual progress and complexity and God working in and through evolution to bring about change and advance his purposes (although most evolutionary proponents would oppose the view that evolution is moving toward a goal or purpose). Furthermore, his philosophy of history would have a huge impact in the development of Marxism and even the fascism of Nazi Germany. Karl Marx would combine Hegel’s dialectical view of history with a recognition of the material basis of existence, which would later be known as “dialectical materialism”*. For Marx, this was intimately linked to the importance of philosophy in addressing the problems of society, especially the plight of the working class. History was viewed as a dialectical struggle and progress would come through conflict and reality would ascend towards consciousness and freedom through its own inner dynamic, without guidance or interference from ‘outside’. Some critics of Hegel have (rightly or unjustly) linked him with the rise of German fascism, where Hitler saw Germany as the culmination of all history, and those who opposed this were to be eliminated. Nevertheless, Hegel’s views leave much to think about for our world to this day. *Marx adopted the Hegelian concept of an ongoing process and upward development of the process of thesis and antithesis. But instead of the conflict being between ideas or concepts, for Marx, the conflict was thoroughly material. The causes of conflict were material in nature: economics, working conditions, material production – in essence, a clash between the oppressed and the oppressor. For Idealists like Hegel, it was ideas that caused events that made history. But for Marx, it was the concrete situations and events of history that formed ideas. Instead of the entire process being the expression of Absolute Spirit or Mind, everything for Marx was matter or materialism.